Calicut, the most important city of Malabar region of Kerala, was a leading trading center for spices on the West Coast of India during the medieval period. Ruled by the Zamorin Dynasty, Calicut found a place in World History with the discovery of sea route to India in 1498 by the Portuguese navigator Vasco Da Gama. The landing of Gama at Kapat near Calicut changed the political scenarios of India, which ultimately ended with its colonization by the British. It remained under the Madras Presidency till the formation of Kerala in 1956 after independence. Location: Calicut or Kozhikode is situated in the south Indian state of Kerala on the southwest coast of the Arabian Sea. The district extends from latitude 11°15' N to 75°49' E. Basking in the idyllic setting of the serene Arabian Sea on the west and mesmeric peaks of the Wayanad hills on the east, this district has all the required ingredients to fascinate a tourist. 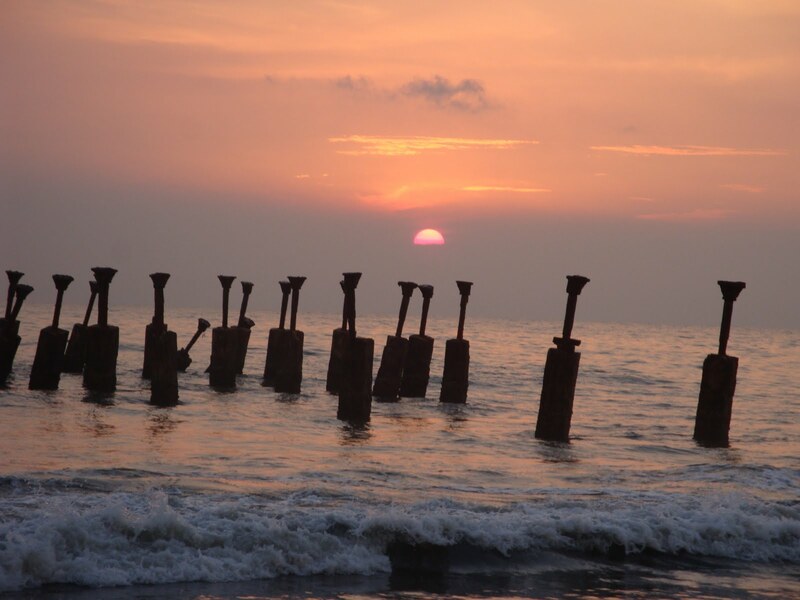 The coastline along Kozhikode, located on the eastern part of the city, offers you a long stretch of uninterrupted sandy beach. You can see and enjoy the glorious spectacle of the setting sun from this beach. The Lighthouse, the Lions Park (children park) and the Aquarium (which has a good collection of marine life and freshwater fish) are interesting places to visit on this beach. Kappad in Calicut is the place where Vasco de Gama set foot for the first time when he came to India on May 27, 1498. There is a small stone monument at the beach to commemorate that event. Pazhassirajah Museum is located on the East Hill. It is run by the State Archeological Department. Ancient mural paintings, antique bronzes, old coins, models of temples, and megalithic structures are on display here. Situated next to Pazhassirajah Museum is an art gallery displaying paintings of Raja Ravi Varma. Dolphin's Point is a good place to watch dolphins playing in the sea early in the morning. On this beach are also situated Calicut Town Center, Lions Club, and a lighthouse. 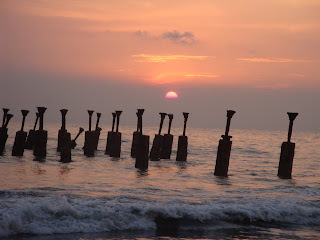 Two crumbling piers, more than hundred years old, stand out into sea at Kozhikode beach. The beach is easily accessible from the city and provides a good view of the setting sun. The place also has a Marine Life Aquarium open whole day. The Science Planetarium at Jaffarkhan Colony is the best place to unravel the mysteries of universe and enlightens about the planets and stars. The Science Center has an interesting array of games, puzzles, and scientific gadgetry, which can keep a person busy for the whole day. The planetarium and Science Center are in the same complex. Mananchira, which was the palace tank of King Mana Vikrama, has been now turned into a traditional architectural splendor with carpeted green grass and surrounded by ethnic buildings. The place also has a musical fountain. There is a dam at Kakkayam, located around 45 km from Calicut. The place offers challenging trekking and rock-climbing through river path and numerous waterfalls. There is another dam at Peruvannamoozhy, 60 km from Calicut. It is a place of beauty, calm, and serenity. The place has a crocodile farm run by the state forest department. You can have a glimpse of the rich historic past of Kozhikode in the Pazhassiraja Museum, which is located at East Hill, 5 km from the city. The state archaeological department runs this museum. The various galleries within this museum have an extensive collection of artifacts that range from ancient coins, bronze objects, copies of ancient murals, etc., depicting the rich cultural heritage of this region. The exhibits of the megaliths (huge prehistoric monuments) are quite interesting. This museum is open for public viewing from 10 am to 12.30 pm and from 2.30 pm to 5 pm everyday except on Mondays and public holidays.